Custom cabinetry with Oak countertops and a hammered zinc island. 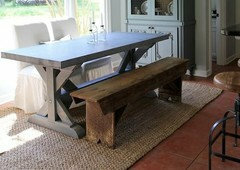 where do you purchase zinc for table or countertop - Looking for zinc for a table. I do not know where to find it and I guess I would get a sheet metal company to put it on. pls, any information would be helpful. Already finished the new house and went with granite, but will add you to my favs. Love the pics. Thanks! 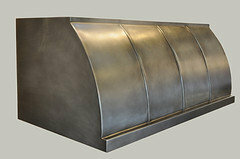 SDS designs make zinc, concrete , copper and wood top tables as well as counter tops. They customize size and style and you can create your own design. 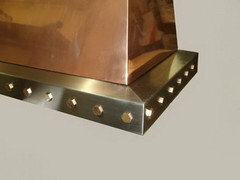 what is used for the stove backsplash? Thanks! LOVE the quilted zinc backsplash. I had been thinking pressed tin, but this just might make me change my mind. It is a great focal point for the room! As seen on Animal Planet !!!!!! Cabinet paint color? - Love this look! Hi! 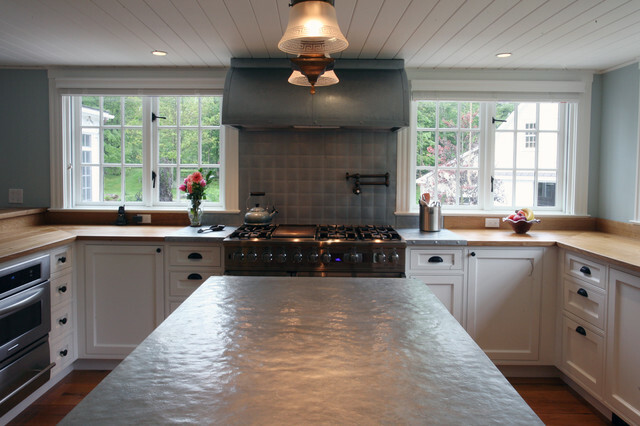 Handcrafted Metal builds custom zinc hoods in this style, though we can't take credit for the one in this kitchen. 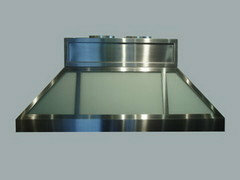 We can make them to perfectly accommodate your kitchen, no matter how complicated. 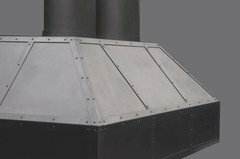 With us you can fully customize the size and features according to your vision, and the price will be adjusted to your specifications. 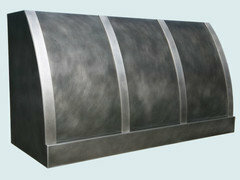 Below are some pictures of similar zinc hoods we've made (hove over them to see a full image). Please consider us for any future projects you have! 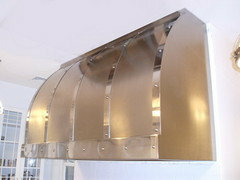 What make/ model is the range hood? 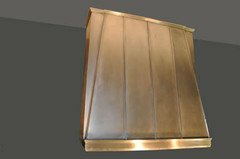 My Range hoods are made one at a time by metal craftsmen. Zinc Counter top Aging? - I'd like to know now that you've had it for some time how your zinc counter top is aging? Do you still like it ? Is it holding up well? Are you still pleased with the choice? I love the way you mixed mediums in your kitchen thanks. 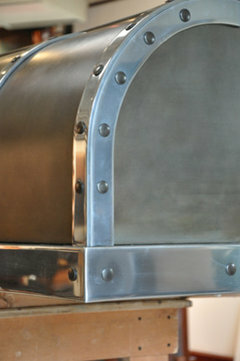 I recently revisited our project and found the counter top to have put on a patina. It looks a little more antique. I like it but it is not for the meticulous. We think its a terrific addition to the house style. Can you please tell me the color of the paint on the walls? Unfortunately, as a builder, we don't keep track of paint colors for past projects. 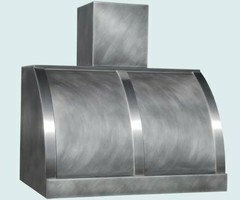 Do you have any more information about the hammered zinc countertop, such as care, heat and scratch resistance, cost? This hammered zinc island countertop is this kitchen’s focal point. Natural light accentuates its dappled texture. Like u shape with peninsula and then island. Could make living room defined.